Eclectic Educating: St. Patrick's Day! Don't you worry. An early spring break won't keep me from celebrating this wonderful holiday. It's just too much fun to pass up! 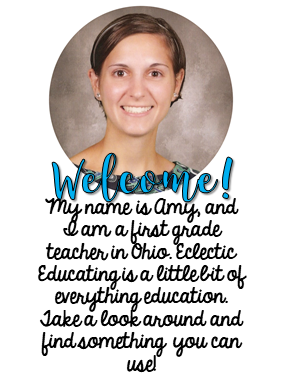 Let's start with what I will be using with my lovely third graders. I selected these particular articles because they lend themselves well to a lesson on main idea and supporting details. 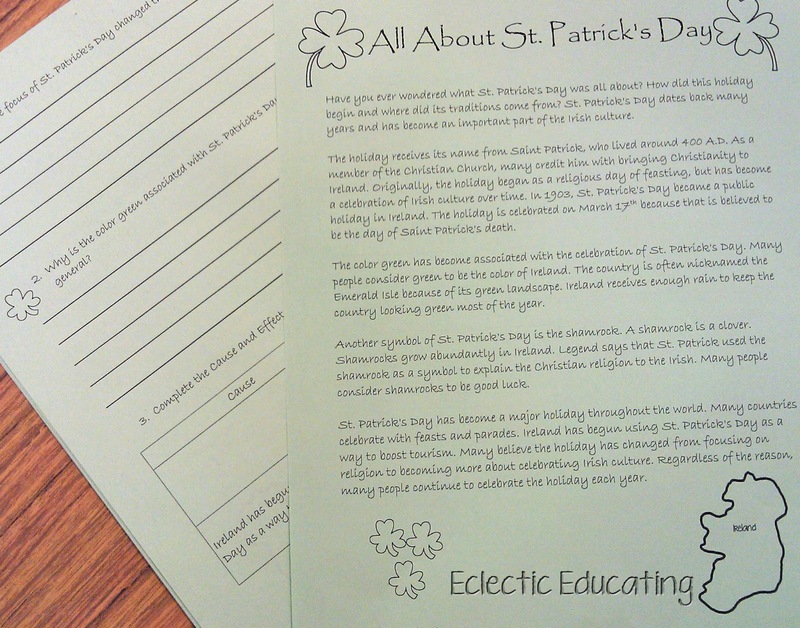 We will be using the articles with some fun St. Patrick's Day themed graphic organizers. 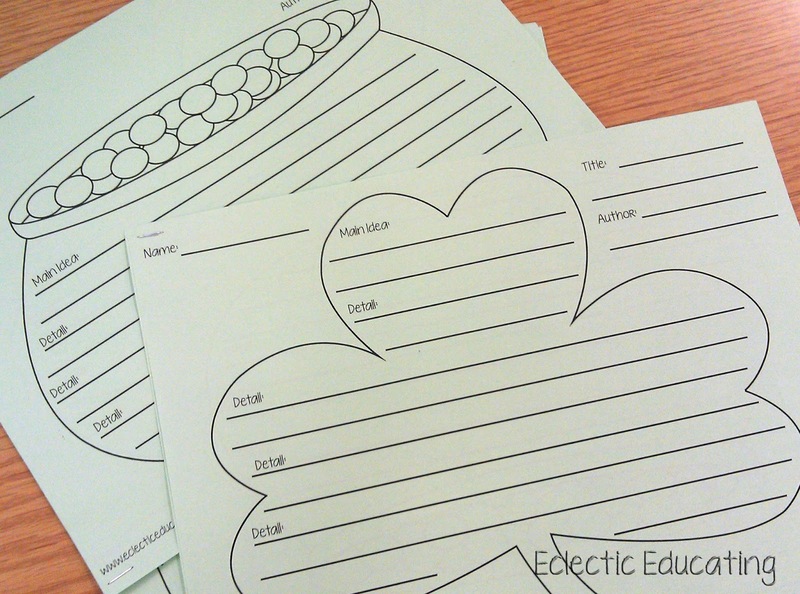 If you would like your own copies, you can purchase the graphic organizers at my TPT store. Just click the image below. If you would prefer a plain form, use this free, generic summary template. For my fifth grade students, I picked a more challenging text. 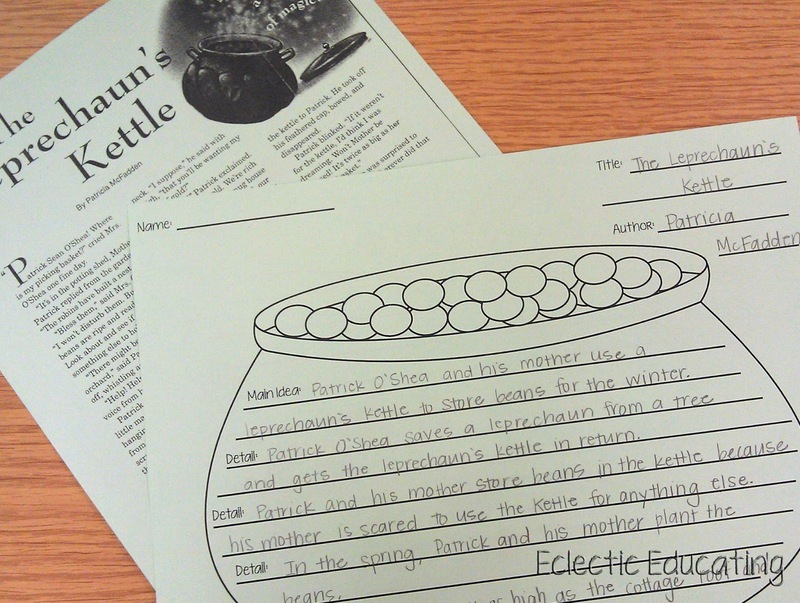 We will be reading The Leprechaun's Kettle. (Simply search the titles on EBSCOhost.) For a month, the article will also be available at Highlights Teachers. They change the articles every month. 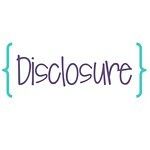 I would recommend you check out this short story. It is about a boy who saves a leprechaun and receives his kettle in return. The boy and his mother store their beans in the kettle for the winter. After they plant the beans, they sprout in all the colors of the rainbow. The kids never see the ending coming. I am not kidding about their obsession. They were not pleased that we did not do the history of Christmas. In fact, they mentioned it for several weeks. Since the history of Christmas would involve a substantial amount of religious history, I thought it best avoided. Somehow they managed to overcome the disappointment! How will all of you be celebrating St. Patrick's Day? Does anyone else have such an early spring break?! Those articles look like a lot of fun to read! How funny that your 4th graders are so into the history of holidays! 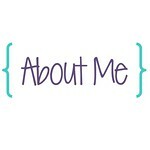 So glad I found another Title I interventionist blog! I work with K-3, primarily with reading, in my school!